What if you could save a child's life? — Christian Daugherty, Albany, Ind. It was a terrifying evening in the Daugherty home in October 2017. Their 6-year-old son Christian began screaming in pain, then went limp. He was rushed by ambulance to a local emergency room in Muncie, Ind., then quickly sent to the Riley Hospital for Children Emergency Department, where doctors discovered the source of his problems: a brain tumor. Christian underwent a total of three brain surgeries with Riley Pediatric Neurosurgeons Andrew Jea, M.D., and Jeffrey Raskin, M.D. 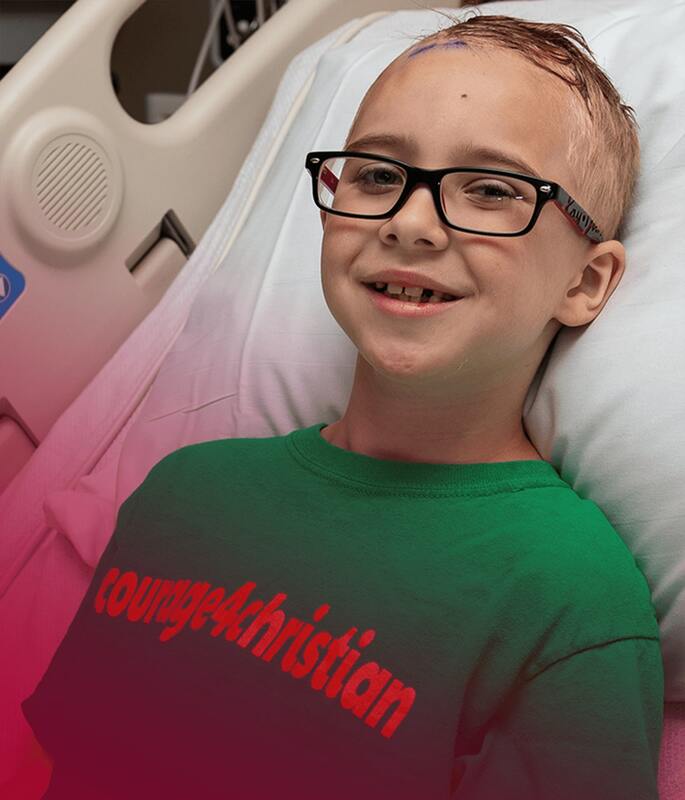 One of the surgeries involved serious brain swelling complications, but Christian fought hard and recovered. 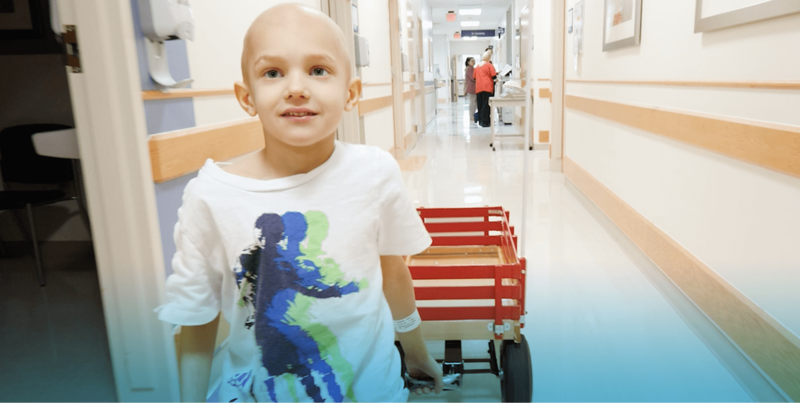 The donor-funded Riley Precision Genomics team ran tests on Christian’s extremely rare tumor, and discovered a genetic fusion was creating a protein overproduction that was feeding the tumor. These genetic findings allowed the Riley team to identify a targeted chemo pill, Trametinib, with virtually no side effects. The treatment worked well to contain Christian’s tumor for many months. 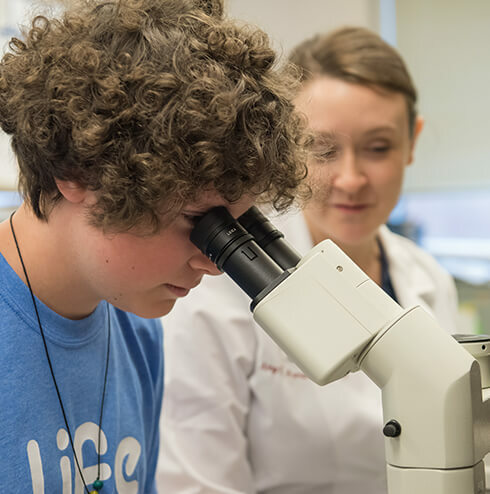 When the tumor began growing again over the summer of 2018, Riley Pediatric Neuro-Oncologist Alex Lion, M.D., worked with the family and the Precision Genomics team to adjust Christian’s treatment plan, which included another brain surgery and proton therapy. One in every eight children diagnosed with cancer will not survive without new discoveries. Riley's investigators at the Wells Center for Pediatric Research needs donors' funding to speed up discoveries for children with: cancer; heart defects; lung disorders; infectious disease; and diabetes. In the past 20 years, only three new cancer drugs have been approved specifically for children. Donations help Riley recruit world class researchers and provide seed and bridge funding to get new ideas off the ground. Every dollar donated leads to $10 in additional support for Riley research. Riley is now among the nation's top 10 pediatric research hospitals because of donors. — Sheila Dolan, Fishers, Ind. “On the day of delivery, our big question was, will Jameson breathe?” recalls Sheila Dolan about her youngest child’s birth day. Doctors first referred Sheila and her husband James to the Fetal Center at Riley Children’s Health after a routine ultrasound revealed abnormalities. The donor-funded Fetal Center provides comprehensive care to expectant mothers whose babies have known birth defects. 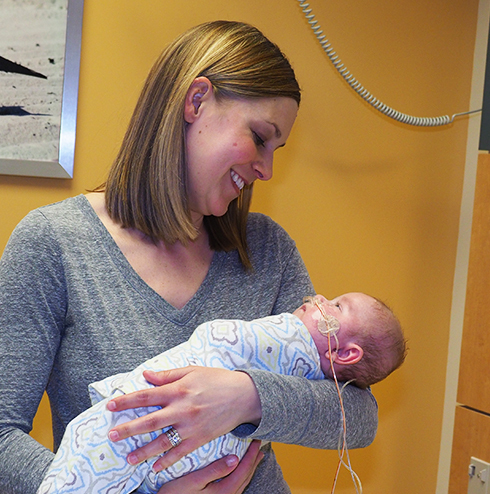 Riley Pediatric Radiologist Brandon Brown, M.D., discovered not only that baby Jameson had organs growing outside of his abdomen and compromised lungs, but also that Sheila was at risk for a dangerous problem with her placenta. The Fetal Center pulled together the entire group of specialists to form a plan for Jameson’s birth and follow-up surgeries. He was born via C-Section on December 29, 2017. “Praise the Lord, he breathed,” says Sheila, recalling Jameson’s first tenuous moments. 600 babies in Indiana die before their first birthday each year. Indiana's infant mortality rate is among the highest in the nation. Many of these deaths are preventable. We cannot wait to act when babies' lives are at stake. Your gifts are helping Riley hire up to 12 maternal-fetal medicine specialists to address a shortage of care for mothers with high-risk pregnancies. Gifts are also helping create a new Riley Fetal Center to provide comprehensive care for expectant mothers whose babies are diagnosed prenatally with birth defects. 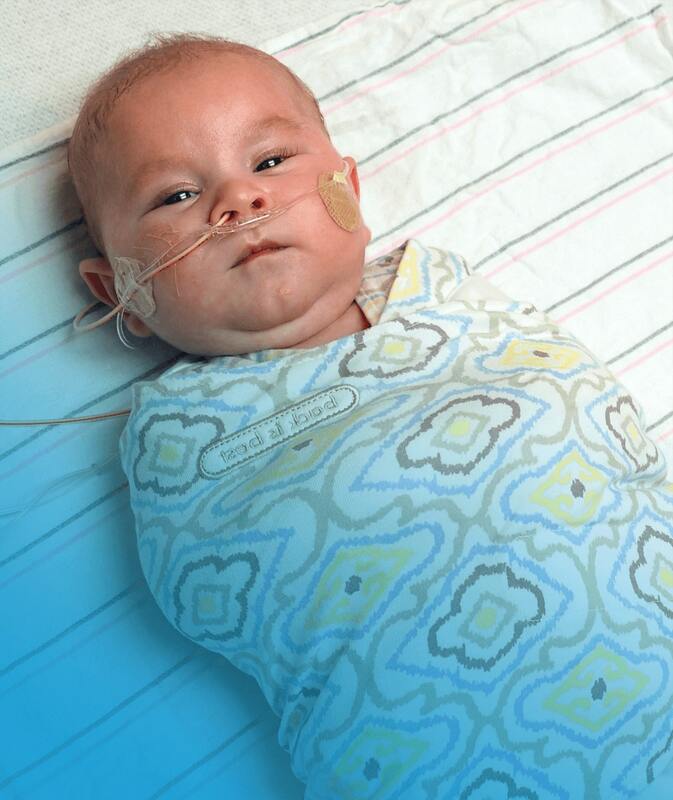 With your help Riley can help save 137 babies' lives each year by reducing Indiana's infant mortality rate to the national average. — Heather Strayer, Whiteland, Ind. When Heather and Josh Strayer were expecting their second daughter, Kennedy, they discovered she had a significant single ventricle heart defect. The family was living in Arizona, but they decided to return to their family roots in Indianapolis so their daughter could be treated by the exceptional team at the Riley Heart Center. Dr. Brown performed Kennedy’s second surgery when she was a toddler. Child Life Specialist Lindsay Morgan patiently prepared Kennedy for surgery, helping her understand what was happening and keeping both sisters calm and entertained. “Child Life is really good at helping her to not be scared,” says Heather. The Strayers ultimately became a Riley family times two: Bailey underwent treatment for a non-cancerous bone cyst. With both girls doing well today, the Strayers are encouraging every Indiana family to join them in supporting Be the Hope Now: The Campaign for Kids. Family Support Programs like Child Life and Social Work are not covered by insurance and cannot be sustained without donations. More than 75 percent of funding for Riley Social Work and Child Life teams comes from donors. Riley families have many needs including: child-friendly comfort techniques, counseling, sibling support, and emergency funding. 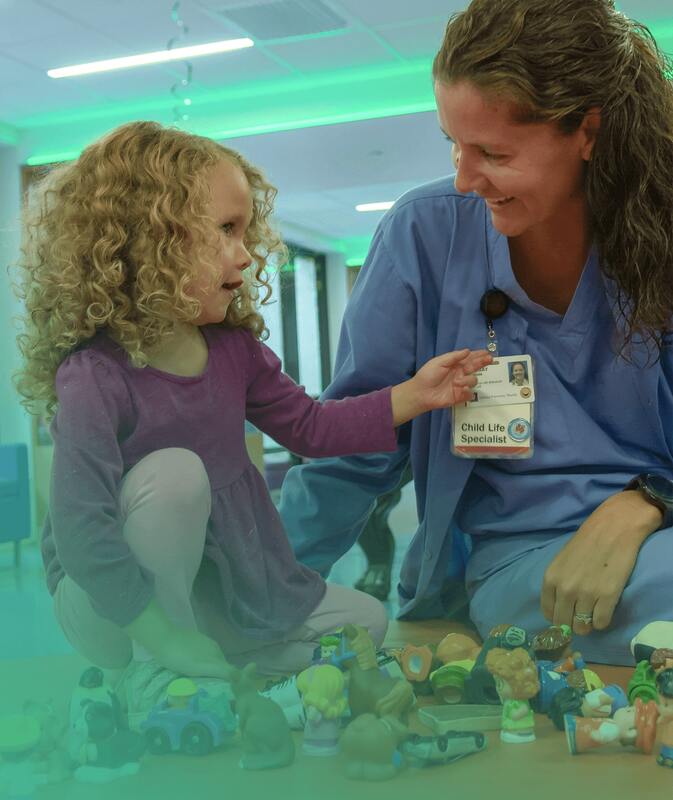 Your gifts provide every child who stays at Riley with access to Child Life Specialists and Social Workers, who bring comfort, joy and empowerment. Children who receive Child Life services experience far less fear, anxiety, pain, and distress. 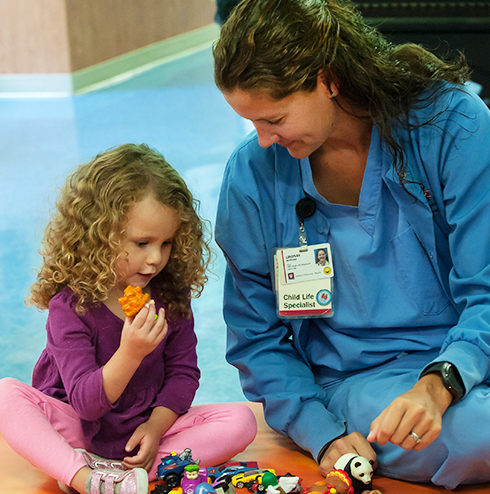 Riley's Social Workers remove barriers for families and help children have shorter and less-frequent hospital stays. Children need us to put their futures first. With lives at stake, we cannot afford to wait. Want to personalize your gift? Maximize your impact on Riley? Discuss naming opportunities? We appreciate your interest! We'll reply as soon as possible. and help us by spreading the word and sharing your Riley story. Why have you decided to Be The Hope NOW? Want more information about Riley? Enter your email below for periodic updates.